Thursday, January 25, 2018 by: Isabelle Z. 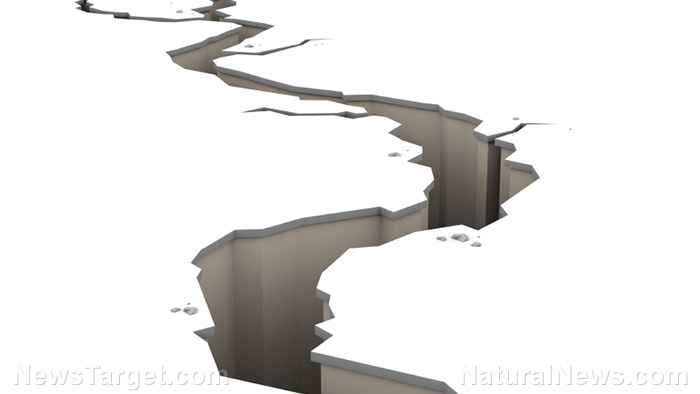 (Natural News) The city of Reno has been hit with nearly 250 mini-tremors in just a week, stoking fears that the area could be hit by a serious earthquake in the near future. The rumbles have mostly been too small for people to notice, but they are part of an earthquake swarm that raises the likelihood of a major quake, according to seismologists. University of Nevada Reno Seismologist Dr. Ken Smith said this most recent activity can be thought of as a “heads up” that an earthquake could be coming, adding that his team gives earthquake swarms careful attention. The biggest one so far measured 2.7 on the Richter scale, which he characterized as “pretty small”, but it’s nevertheless worth paying attention to. Nevada ranks third in the nation in terms of seismically active states so tremors are nothing new, but earthquake swarms are indeed significant. They could persist for quite some time and then die off, or they could turn into a much bigger problem. Quakes generally need to have a magnitude of 4.0 or more to be felt by many people indoors, the U.S. Geological Survey reports. A quake of this magnitude might feel like a truck hitting a building. A quake that reaches 5.0, which is 10 times stronger than 4.0, would be felt by nearly everyone. Reno has had two big seismic events in recent years, with a 4.4 quake in 2013 along with a 4.7 tremor back in 2008. In both cases, earthquake swarms preceded the events. Dr. Smith is telling people to prepare and not to underestimate these quakes. Besides stocking up on supplies, they should also ensure that large pieces of furniture like bookcases are strapped down. “Everyone is worried about the big one, but it doesn’t take the big one to knock over your water heater and empty out your shelves,” he said. Some area schools have been holding earthquake drills to prepare for any potential large quakes. Washoe County Emergency Manager Aaron Kenneston told KTVN that the best advice remains taking cover under a sturdy table until any shaking stops. Most modern buildings can withstand a mid-level quake, but falling objects are still a very big concern. Like Dr. Smith, he advises that people check their homes for items like water heaters and bookshelves that need to be secured. In addition, he says it’s essential to keep a stock of water, food and medications. The 2.7 quake recorded on Tuesday occurred 3.7 miles from the southern part of the city, which is home to a quarter of a million people. It is clustered just beneath Old U.S. 395 and I-580. It’s also worth noting that the tremors are occurring not far from the Ormat Steamboat Geothermal Power Plant. This type of plant has been linked to earthquakes in the past as it generates electricity by tapping into pockets of hot water under the Earth’s crust, but Dr. Smith said there has not been any evidence of a connection between the plant and this particular swarm. The current earthquakes are also situated much deeper than the activities at the plant. Of course, earthquakes are very difficult to predict, and the area is close to a fault that could cause a magnitude 7 earthquake. California is also experiencing some earthquake concerns, with a U.S. Geological Survey report warning that the risk of a big earthquake of a magnitude 8 or higher in the next three decades has jumped from 4.7 percent to 7.0 percent. Explore more science articles at Science.news.